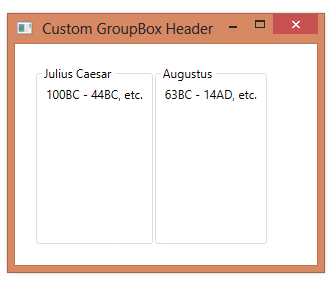 You normally set the Header property of a GroupBox to some text. 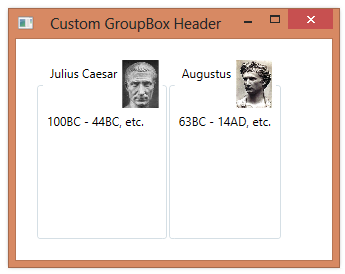 You can, however, set the Header to anything that you like, including a panel containing other controls. Perfect! Your suggestion worked like a charm. I have been trying various complicated approaches but this was a breeze.